Hard to find a comfortable XD appendix carry holster that's actually comfortable, isn't it? There are plenty of them out there, to be sure, but not many of them that carry comfortably. 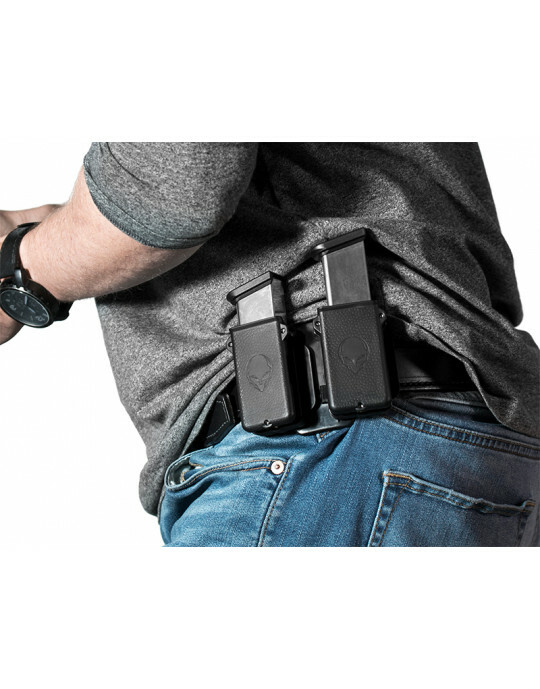 Kydex pancake holsters, no matter how compact or streamlined, put a lot of plastic parts directly between your waistline and your skin and that doesn't feel good. 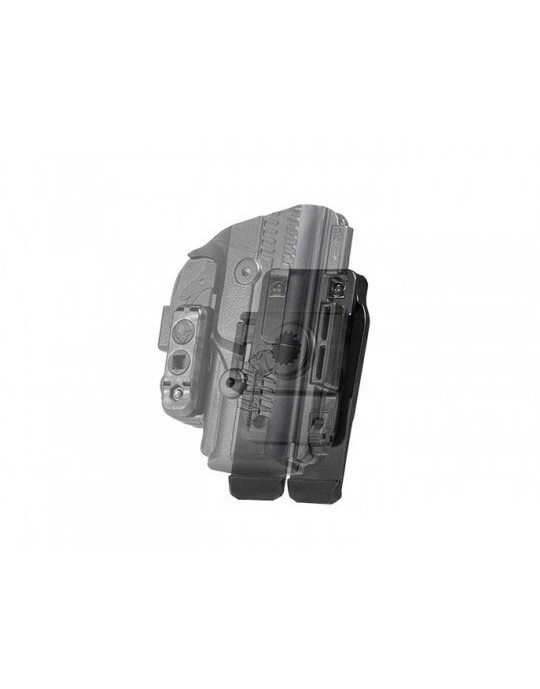 You might also not be able to adjust the retention or cant on a Springfield XD appendix holster, which can stick you with the factory settings. That's great if it works, but it's a one-way ticket to the holster drawer if not. 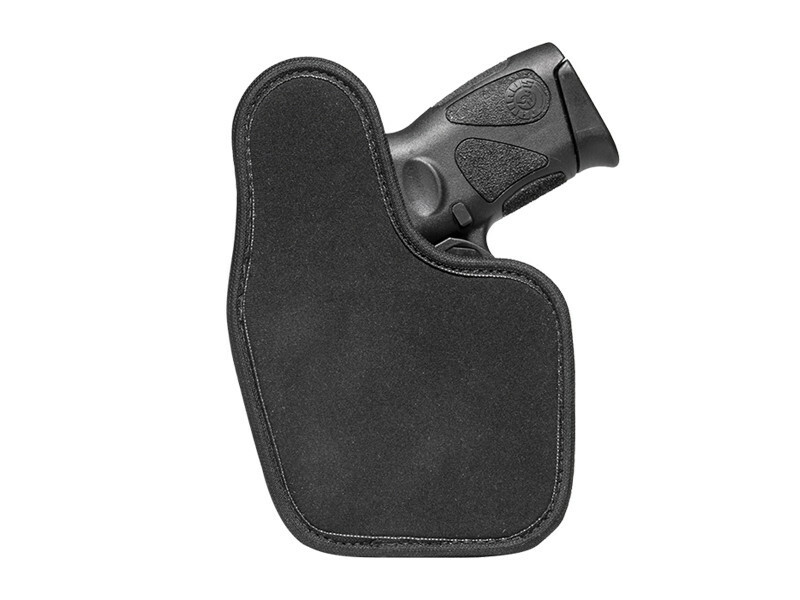 However, Alien Gear has a different kind of Springfield XD appendix IWB holster for you. Ours is built for comfortable carry. We also don't ask you to accept the factory settings for cant, retention or even the appendix carry belt clip. 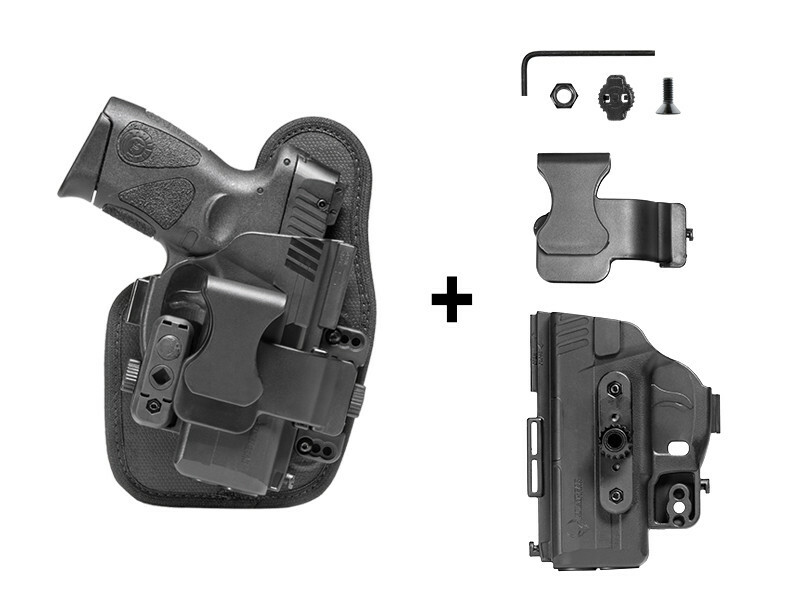 The beauty of the ShapeShift XD 4-Inch IWB Appendix Carry Holster is that it's completely adjustable to your desires. 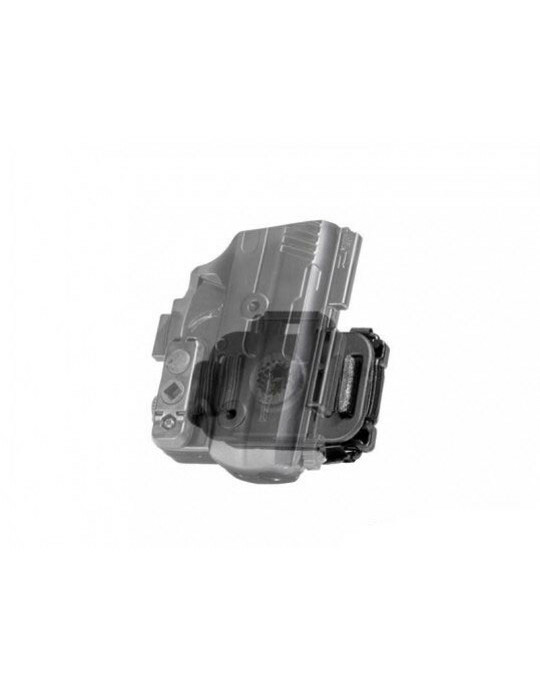 You can adjust the cant at the holster shell connector, and passive retention is adjustable via the Adjustable Retention Unit. 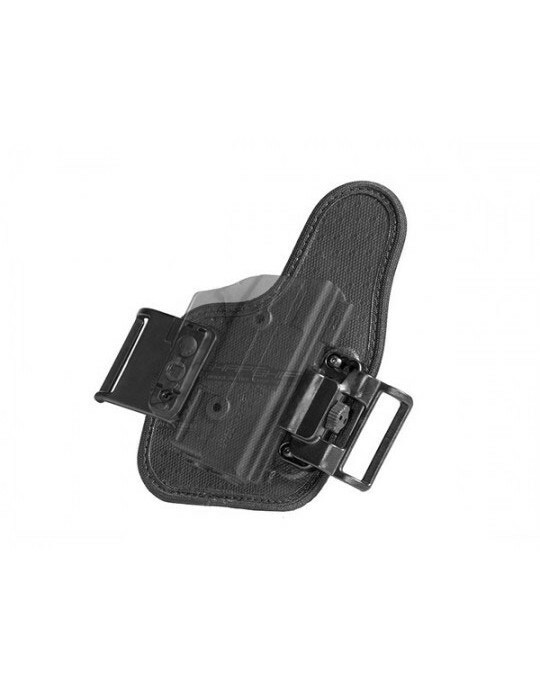 You also have the choice of small or large belt clip; install whichever one you prefer. 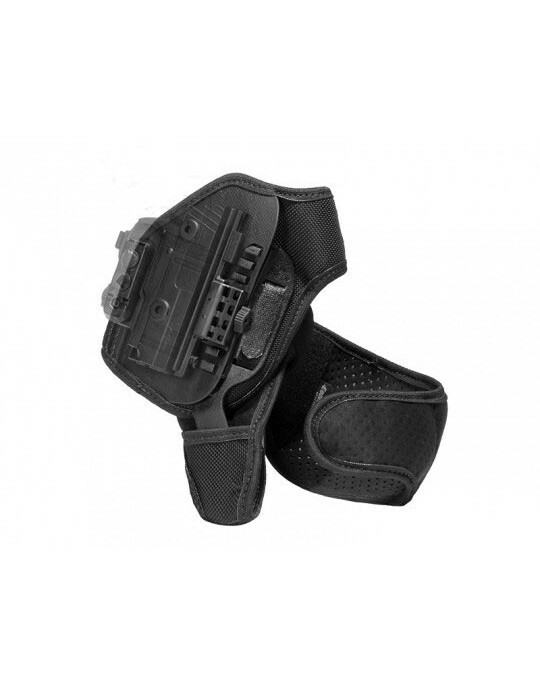 This holster also doesn't require you to forego comfort in any way shape or form. 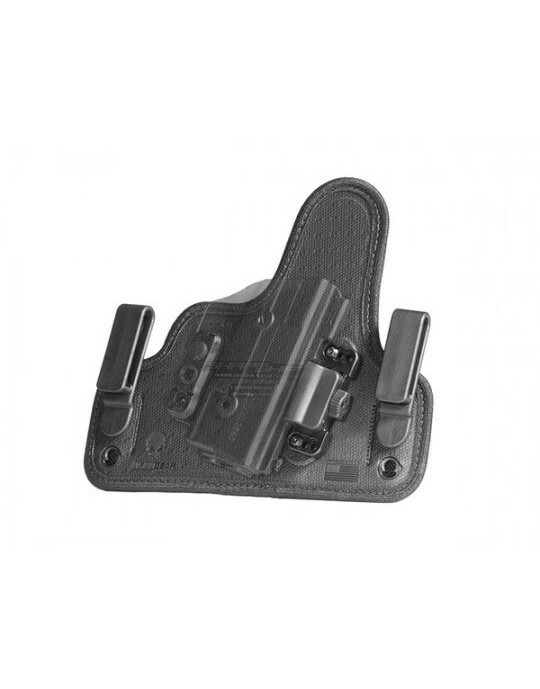 This holster uses a new appendix carry backer, using a similar design philosophy to other Alien Gear products. The backing layer is our new Cool Vent perforated neoprene, which wicks sweat and breathes against your skin. The core of the backer is made of layers of woven ballistic nylon and spring steel. 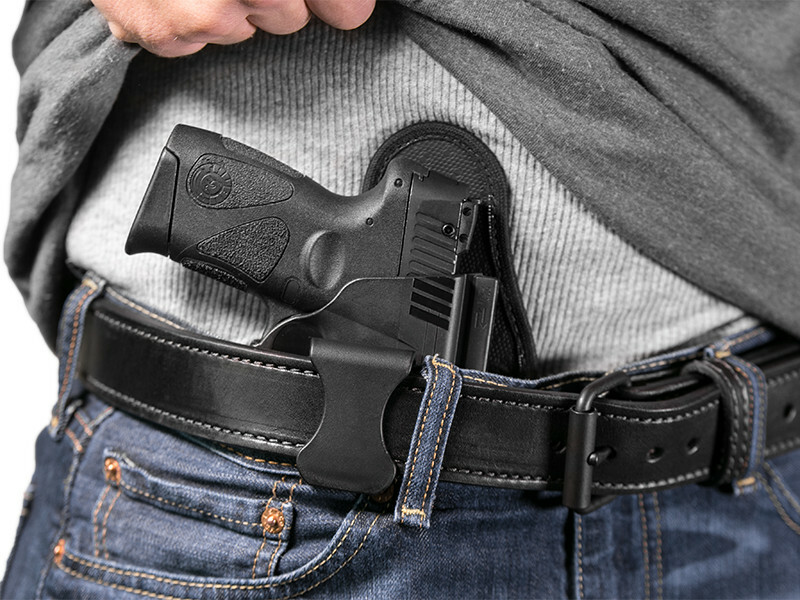 When wearing your XD appendix carry holster, the steel plate flexes to fit your shape but also helps anchor the holster to you. It sits against you firmly but comfortably, moving with you as you do. You can also rest easy about your gun's finish. The top surface is a textured thermoelastomer that provides a high-friction surface, but the texturing ensures no harm comes to your pistol. Not convinced? That's okay. 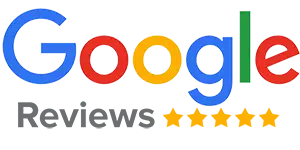 That's why we give you a 30-day "Test Drive" after purchase. 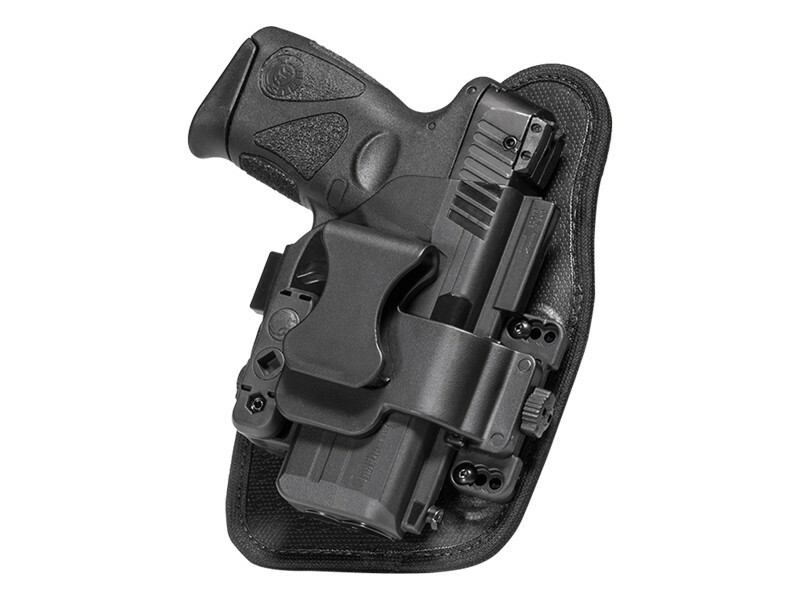 You can return the holster for a full refund during the first month of ownership if you aren't satisfied with your XD appendix holster. 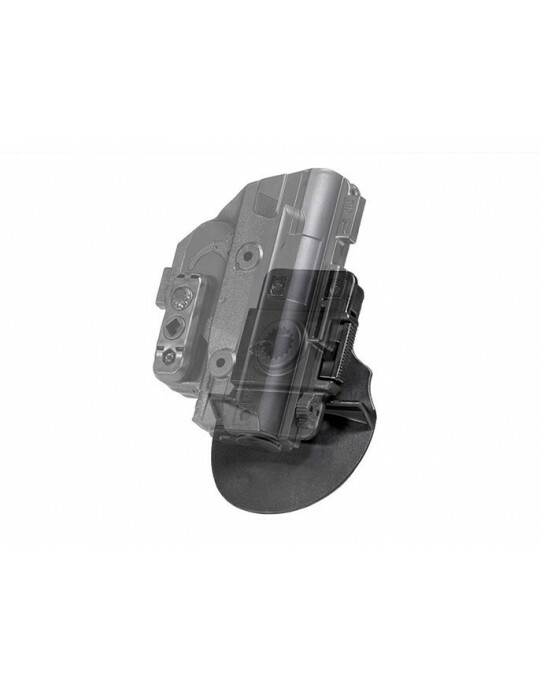 However, when you are convinced - because we don't believe that it's an "if" - we fully warranty the holster for life. Any issue gets fixed or you get a new one as long as you own it. Appendix carry has just evolved. Shift into a better carry.